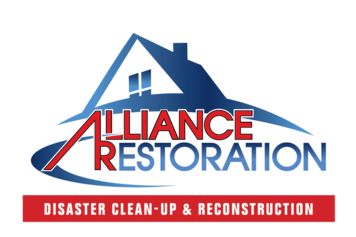 ARS Restoration Specialists is a full service disaster recovery and property restoration company with 24/7 Emergency Response from Pawtucket, Rhode Island and 4 other New England locations (Newton, Worcester, Springfield, Hudson NH) . We offer services for fire, flood, smoke, and mold remediation; document recovery and equipment recovery, and full reconstruction. ARS is a restoration leader for homes and businesses since 1987 and passionate about our services to property owners and managers. Frank is the Managing Partner of Flynn Law Group located in Boston, Massachusetts. For the past twenty five years, Frank has specialized in residential and commercial landlord/tenant litigation, subsidized housing, condominium collections, commercial litigation and condominium association representation. He currently represents many prominent management companies, commercial and residential landlords and condominium associations in Massachusetts. O’Leary Law Associates is a Rhode Island-based law firm which has been assisting property managers, owners and developers with all of their legal needs since 1980. On a daily basis, we assist multifamily property managers with landlord-tenant issues. Very often, we are called upon to help navigate issues involving subsidized housing, as well as judicial procedures and remedies – with an unparalleled success rate. We also possess extensive experience and expertise regarding conventional and subsidized real-estate closings, refinancing and title issues. Whatever your objective, our combined sixty-plus years of experience will help get you there in the most efficient manner. 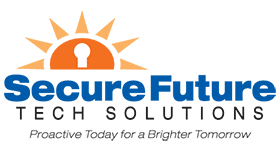 Founded in 1992 on the campus of the University of Rhode Island, Secure Future Tech Solutions (formerly, PC Troubleshooters, Inc.) has become an industry leader providing small-to-medium sized businesses IT support services and maintenance of computer networks, servers, workstations and applications. Using the latest technology, our staff can develop or revitalize your existing office network. Whether it involves one computer or a large network, Secure Future Tech Solutions offers a cost-effective, tailor-made solution to suit your unique environment. Our mission is to provide you with the best systems management for your growing company. To achieve this goal, PC Troubleshooters has gathered a team of business specialists that are ready to become your computer department. We will listen to your organizational requirements, evaluate your current systems configuration, implement the right hardware and software solution, and maintain the network to your highest satisfaction. 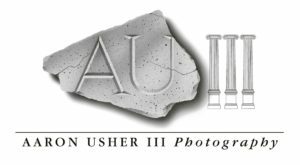 We are a Rhode Island based commercial studio, specializing in architectural, interiors, and business to business photography. Working professionals for over 38 years, our clients are architects, interior designers, construction firms, property management, and RE developers Assignments predominantly take us throughout New England, regionally along the East Coast and Florida, but we have worked in all corners of the US, in addition to Abaco, in the Bahamian Islands. Our work has been published in over 330 magazines and books, such as Period Homes, The New Old House Journal, RI Monthly, Woman’s Day/Home Remodeling, Southern NE Home, and Historic NE, as well as hundreds of web sites. Our locally owned and operated business will give you a FREE estimate for our services. Insurance billing is available. You can be at ease knowing that we’re here for you 24 hours a day, 7 days a week. Residential and commercial service is available to you. We’ll do our best to restore you property to its previous condition. Automatic Laundry Services, Co., Inc. a family owned business that has been providing laundry service in New England since 1964. We currently service many of New England’s largest builders, management firms, colleges/universities and housing authorities. We are the leading provider of Speed Queen ? debit card and coin operated washers and dryers. With our environmentally friendly Energy Star? rated washers we can significantly reduce a community’s water, sewer and energy costs. Speed Queen? washers and dryers offer residents larger capacities, allowing them to process their laundry quicker and more efficiently, while decreasing your overall cost. Our web based dispatching system, in combination with GPS tracking technology, allows our service managers to efficiently dispatch all service requests. All of our service trucks are completely outfitted with a full complement of parts, so that repairs can be made on the first visit. You will never have a machine out of order because we are waiting for parts. Our qualified personnel are capable of providing assistance in laundry room design layout, installation, site evaluation, service and parts. Automatic Laundry considers customer service the cornerstone of our business. We are committed to providing you with the best service in New England . If you have any questions or would just like information please call us @ 1-800-422-5833, or visit us at www.automaticlaundry.com. BEHR PRO™ Professional Products & Services Behr Paint Company, the maker of BEHR® and KILZ® Brands respectively, is one of the largest manufacturers and suppliers of architectural coatings including paint, primers, wood stains, and floor coatings. The BEHR PRO™ Professional Products & Services Program is dedicated to meeting the product and service needs of professional painters, contractors, remodelers and property owners/managers, with an unwavering commitment to quality, innovation and value. As one of the largest professional service teams in the nation, BEHR PRO Reps will help to develop business solutions and provide tools and resources such as free direct-to-jobsite delivery from Behr’s nationwide distribution centers, factory tinting, color matching, renderings and expert support. The Behr National Architectural Program and its dedicated team of Architectural Reps can provide professional-grade color visualization and presentation tools for Architects, and expertly guide the specification of BEHR Products that meet or exceed rigorous environmental standards. To learn more, visit www.behrpro.com. 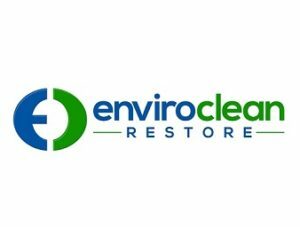 Enviro-Clean, Inc. a 24/7 full-service disaster recovery including emergency repairs, water removal and drying, clean and restoration, and complete resconstruction. Enviro-Clean is also one of the leading mold remediation companies in New England. Our Bio-remediation division provides crime scene cleaning service, as well as cleaning distressed property. We are now launching a new Products Division, providing top quality products for indoor air purification, filtration and dehumidification. Various brands and models are designed for home use, and others for commercial or institutional applications. HD Supply is one of the largest industrial distributors in North America. The company provides a broad range of products and value-add services to approximately 500,000 customers with leadership positions in maintenance, repair and operations, infrastructure and power and specialty construction sectors. Through approximately 650 locations across 48 states and seven Canadian provinces, the company’s approximately 15,000 associates provide localized, customer-driven services including jobsite delivery, will call or direct-ship options, diversified logistics and innovative solutions that contribute to its customers’ success. Kathy Mackey Web Design is a professional Web design company specializing in wordpress websites. Our specialty is startups and small to midsize businesses that need professional-looking websites produced quickly and priced reasonably. All sites are mobile friendly and maintenance plans are available for your needs. With all the stress and variables that go into protecting your home or business, hiring an experienced professional like Liberty Roofing will give you peace of mind in knowing that you’re dealing with a registered and fully-insured contractor that is certified and trusted by the biggest manufacturers in the industry. Liberty Roofing is the culmination of 3 generations of roofing expertise. We operate under veteran leadership and boast a rich history of over 40 years experience at our decision making positions. Precision Concrete Cutting, more commonly known as “SafeSidewalks.com”, is the leader in uneven sidewalk repairs nationwide. We work with property managers, housing authorities, nursing homes, municipalities and more in Rhode Island. Our patented technology quickly slices away the trip hazards, leaving the sidewalks ADA compliant, aesthetically pleasing, and eliminating trip and fall liability. Customers report a 70-90% reduction in costs compared to other methods. All our work is low impact and ecofriendly. In the summer months, Roberts Chemical Company sells bulk liquid swimming pool chlorine (sodium hypochlorite). We can deliver 50 gals and up and pump it directly into your onsite storage tank. We can also supply you with a storage tank if needed. In the winter months, Roberts sells a full line of Ice Melt products including: salt, calcium chloride and magnesium chloride. For more information or to place and order please visit or website at www.robertschem.com. ROTO ROOTER is the nation’s largest full service repair and replacement PLUMBING SERVICE. Our Technicians arE professionally trained to service your faucets and fixtures, sinks, toilets, water and sewer lines, disposers and water heaters. Roto Rooter also has been cleaning sewers since 1935 and has more than 3,000 technicians solving more than TWO MILLION problems every years. Roto Rooter can also instalL, test and repair your BACKFLOW METERS keeping your business in compliance with regulations. We offer VIDEO CAMERA INSPECTIONS to troubleshoot and diagnose difficult underground sewer line problems. We also offer HIGH PRESSURE WATER JETTING for sewer lines clogged from roots, scale, silt, sand, grease and other material. Roto Rooter has one of the only state approved SEWER RELINE SYSTEMS to repair lateral lines without excavating your landscape. Roto rooter does it all and at COMPETITIVE PRICES. Sanichem, Incorporated has been in business since September of 1974 and has established itself as probably the largest supplier of all types of cleaning supplies, paper products, equipment and ice melt to the apartment sector in the state of Rhode Island. The main component in keeping Sanichem so strong over the years is fair pricing and quality products. Our products are second to none. Our hands-on approach to serving our customers helps make it possible to give prompt and individual attention to our customers. One Call Does it all. Single Source Disaster Recovery Specialists is the smart choice for property owners and facilities managers seeking any kind of disaster recovery or disaster cleaning service. Single Source brings together the trusted services of Smoke Clean of New England; Clean Air of America; and Restorative Drying to provide expert disaster restoration services from one, convenient source. From large-scale water losses to soot, fire and smoke damage and reconstruction, we do it all: Quickly, conveniently, and cost-effectively. Single Source is a family-owned contractor specializing in disaster clean-up and the restoration of interior, structural, and content damage for commercial, industrial, retail, and residential. With 40+ years of experience and industry-wide expertise, we are the single call, single source solution for all of your disaster restoration needs. At Turk & Quijano, LLP we are dedicated to ensuring that our clients receive unsurpassed legal representation. The partners of the firm, Jeffrey C. Turk and Therese Quijano, have a combined thirty five years of experience with property owners and landlords and are recognized both locally and nationally as leaders in the field. The associates of the firm also focus their practices extensively in this area of law, ensuring that clients have access to quality legal representation at all levels. Finally, the success of our practice has always been founded on our “one-team” approach to the attorney-client relationship. We consider ourselves members of the same team with the mutual goal of insuring ongoing success for our clients and reducing their overall legal costs. 24 Restore is an emergency response full service disaster restoration company. 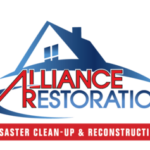 We specialize in restoring residential and commercial properties to their pre-loss condition. No matter what the cause of the damage, 24 is uniquely qualified and prepared to serve our customers quickly and efficiently. Our goal is to provide a high quality experience while minimizing our customers’ inconvenience. We communicate our progress daily throughout each project to ensure a seamless transition for both our clients and insurance partners. Our foundation is built on the tenants that quality, communication, and integrity are critical to our business success. 24 is fully licensed and insured. Our nationally certified technicians are on-call 24 hours a day to respond to any emergency disaster needs. Our management team has over 75 combined years of experience, including national experts in water, fire, and bio-hazardous cleanup. 24 provides a complete solution for our clients and insurance partners. 24 will be there every step of the way from emergency response to complete reconstruction. With offices in Maine, Massachusetts, and Rhode Island (soon to open in Connecticut and New Hampshire) we are strategically located and fully equipped to handle any type of disaster throughout New England.